True supporters support their club in both good and bad times. One of the best ways to support their beloved club is singing encouraging songs. Learn these songs and become the 12th man on the team. In a period with poor performance by the Liverpool football team and a critical financial situation in the club, it`s possible to differ between loyal and not loyal supporters. Every true supporter going to Anfield Road should know the songs that are chanted on the Kop - for supporting the club and team as best they could! Photo. Liverpool supporters from Moss in Norway, Liverbirds Moss. The chairman Håvard Skifterud is in the center of the photo. 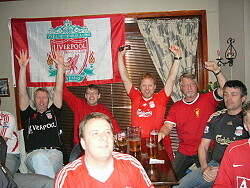 There is one national supportclub for Liverpool in Norway and near 30 local supporter clubs around in Norway. Oh my God how they can sing! © Travel Explorations. All the singing on Anfield reflects the mood of the Liverpool supporters. To be a good supporter, you have to be a true believer. 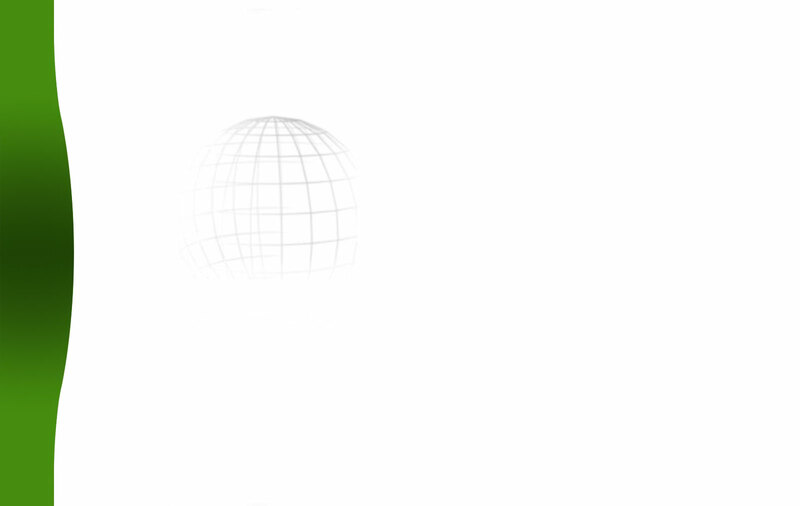 It`s goes up and down, and you need to support your club independent of the situation. According to Dalai Lama is Happiness not something made ready. It comes from people`s own actions. The psychology of the Liverpool supporters is an unusual phenomena that affect the players more than anywhere else in the world. It`s a paranormal phenomena? The supporters in Liverpool Football club has made it as it is: one of the world`s best football clubs. They are the 12th man on the team. Their encouragement and hope for the future are strongly expressed on Anfield Road through chants, anthems and songs; especially in the world famous song You’ll Never Walk Alone. It`s more than a football song for the Liverpool supporters. It`s also about life in general. I will also say these supporters are the greatest choir in the world. They are the Liverbirds singing their songs beautifully along, loud and clear with beating hearts and powerful voices. 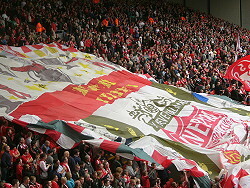 Each year the singing birds at The Kop make new songs to entertain and create an unique atmosphere at Anfield. Singing songs to support Liverpool is good therapy both for supporters themselves and the players, especially when things go wrong as it has done many times this season. The Liverbirds on the Kop are the greatest choir in the world. And they don`t need a conductor for singing in harmony. © Travel Explorations. This enthusiastic singing has an enormous affect on the atmosphere and makes the players perform far beyond their abilities. With such a passion among the supports they will be able to lift the club to big heights again. And nothing is better than sharing the success with the club when things go up again, and at the same time you know from the bottom of your heart that you have supported the club in bad times as best you could. It`s in bad times the club need their supporters most. The 2009/2010 season has so far been extremely disappointing for Liverpool supporters. The club goes through hard times both in sporting achievement and financial solvency. Still most supporters back up their beloved club as best they can. As they know: after hard times come good times. That`s the way they act to be true supporters. Many supporters start to support actively their club from they are kids. You can change you partner, house, car, clothes and whatever, but if you are a genuine supporter you never stop supporting your club and team. They have found their life partner: Liverpool Football Club. It`s just like the purpose of a marriage: stay together and support each other in good and bad times. Marriage is one of the most important commitments that someone can make during their lifetime. The words that you utter in a wedding ceremony are a promise to your significant other: “...to have and to hold from this day forward, for better for worse, for richer for poorer, in sickness and in health...”. I am dreaming my dreams with you, true Liverpool supporters. The US short story author, editor and poet Edgar Allan Poe (1809 - 1849), wrote in his novel Eleonora: Those who dream by day are cognizant of many things which escape those who dream only by night. I associate this quote with bad and loyal supporters. As I consider it: through the night people sleep and can`t controls their dreams. It`s like the supporters who float with the tides. The show up only when the team wins. In the day dreams the true supporters work actively for reaching the goals in the future. With other words: You are what you dream! Are you a loyal and enthusiastic supporter? You'll Never Walk Alone is found in many versions and editions. Besides being the world's most famous football song, it is also very popular as a cover song for musicians worldwide. Elvis Presley, Tammy Wynette and the Mormon choir have good versions of the song. "The Fields of Anfield Road", "Poor Scouser Tommy", "Ring of Fire", "We've Won It Five Times", "Fernando Torres Liverpool's number 9", "We are the Everton haters", "We all dream of a team of Carraghers", "Steve Gerrard Gerrard", "A Liverbird upon my chest", "Campione","We are Liverpool", "Red and white Kop", "We'll be coming down the road", "Javiiiiiiiier Mascherano (the white stripes)", "Every other Saturday", "Bring on yer Machester United", "Bertie Mee said to Bill Shankly", "Oh when the reds go marching in", "Show them the way to go home", "The Reds Are Coming up the Hill", "Those Were The Days", and "We Love you Liverpool we do". According to Wikipedia`s (Wikipedia about football chants) definition of a football chant or terrace chant: it`s a song or chant sung at association football (soccer) matches. They can be historic, dating back to the formation of the club, adaptations of popular songs, or spontaneous reactions to events on the pitch. They are one of the last remaining sources of an oral folk song tradition in the United Kingdom. • You'll Never Walk Alone, Liverpool FC & Supporters, by various Artists. 24 Anfield anthems. It includes the Kop Choir singing You`ll Never Walk Alone and Anfield Rap. • The 12th Man. Over 100 tracks: Double Disc. Back in 2006 the first 12th Man CD was released. The recording is done on a typical match day in “The Albert”. Here you here song about current heroes and legends from the past as Kevin Keegan, Ray Clemence, Kenny Daglish and more. • The Songs of Anfield Road: Scotch on the Rocks, released in 2002. In my opinion this music is not the best versions of Liverpool songs I have heard, but anyway it contributes to spread the Liverpool spirit. It`s not so easy to find these CDs, but some of the Liverpool football songs can also be downloaded from Internet. I downloaded for 2 weeks ago several songs from the Norwegian website Platekompaniet (www.platekompaniet.no) in MP3 format. One of the songs which are available for purchase is The Anfield Rap. This song was recorded in 1988 by the Liverpool players before they played the FA Cup finale. The song was Craig Johnston's idea, a former Liverpool player from Australia. At this time there were only two Scousers in the first team; John Aldridge and Steve McMahon, and the theme of the song jokes about their team mates’ strange accents. This song made it to #3 on the charts in England. You can watch the music video on YouTube: The Anfield Rap music video. A collection of LFC terrace chants, anthems and songs on Liverpool website for fans (Website source: www.anfield-online.co.uk): direct link to the collection of songs: Liverpool chants. It`s a paperback published 1 October in 2007 by Grosvenor House Publishing Limited. It includes 248 pages with collection of over 100 songs and chants as sung by the fans for over a century. Yesterday Liverpool beat the Portuguese champions Benefica in the quarter final in the UEFA cup. Strong hopes and support for the future, that`s what Liverpool Football Club and its supporters need now. And of course good portion of patience! As an English proverb says: Good things come to those who wait. In addition I will say: Good things come to those who support! Liverpool forever! To my dyeing day! Sing with the voice you have and support Liverpool the best you can! Read more about Liverpool on our global travel guide Travel Explorations: www.TravelExplorations.com.